Postcard FI-2007704 from Helsinki is gorgeous by itself. However, I was equally impressed by the stamp that came with the card. 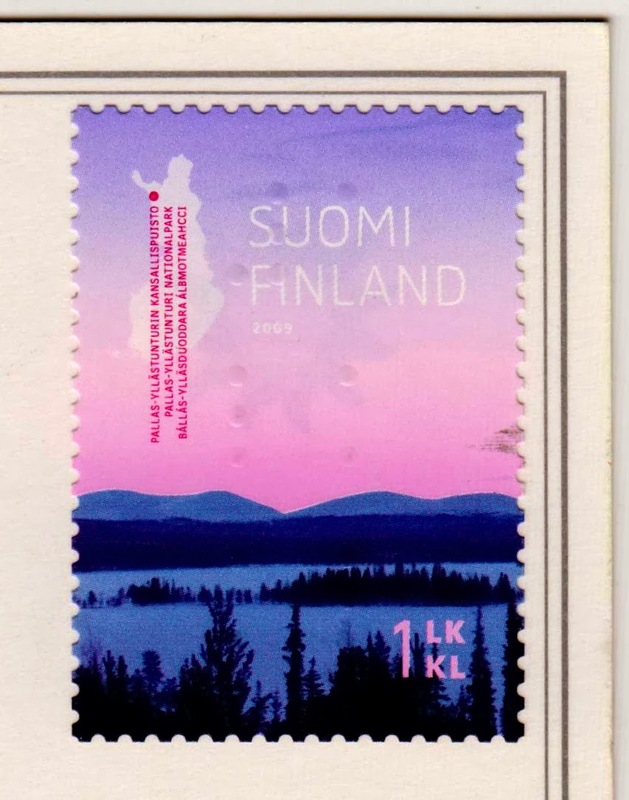 The stamp was the first issue in the series depicting Finnish national parks, issued in 2009. It shows the winter landscape of the Pallas-Yllästunturi National Park at western Lapland. The stamp is friendly to the visually impaired with the Braille text "1 lk. kl", the 1st class non-value indicator. 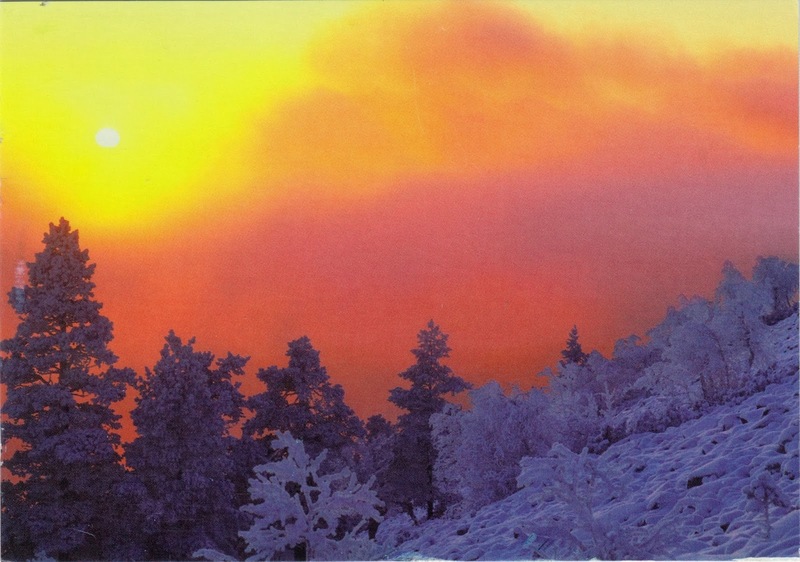 The stamp was designed by Teemu Ollikainen and photographed by Pekka Luukkola.